Let’s Vote this Time without Fail! Let’s Vote this Time without Fail ! Both the above mentioned quotes clearly explains the importance of voting, Statistics clearly prove that interest to participate in voting has gradually decreased among Americans. Only 54.9% of the entire Voting Age population turned out to cast their vote in 2012 Presidential Election. A nation like ours which is considered to be one of the super powers in the entire world comes up with lame reasons for not casting their vote to elect their own President. We will not come up with such reasons this time, let’s stay united and in voice will decide that we are making it 100% this time. 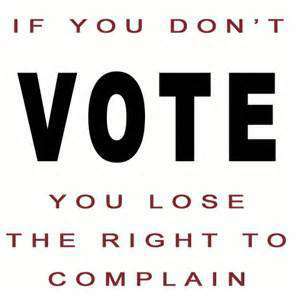 To Vote is not only our right but also our duty. It’s the same like filing Taxes, You like it or not but you have to File and pay your taxes. Likewise you like it or not but cast your vote and make it count this time. Think Trade Inc and its employees have decided that we will not miss this Presidential Election and we are voting without Fail. Think Trade Inc , the First ever IRS authorized E-file Service Provider to E-file Federal Excise tax Form 2290, likes to request our customers & Clients to Caste their vote. This entry was posted in IRS Authorized E-file provider, Useful Info and tagged 100% Voting, Caste your Vote, Donald Trump, Election 2016, Hillary Clinton, November 8th, Presidential Election 2016, US Elections 2016, Voting Percent on November 2, 2016 by Tax Expert.